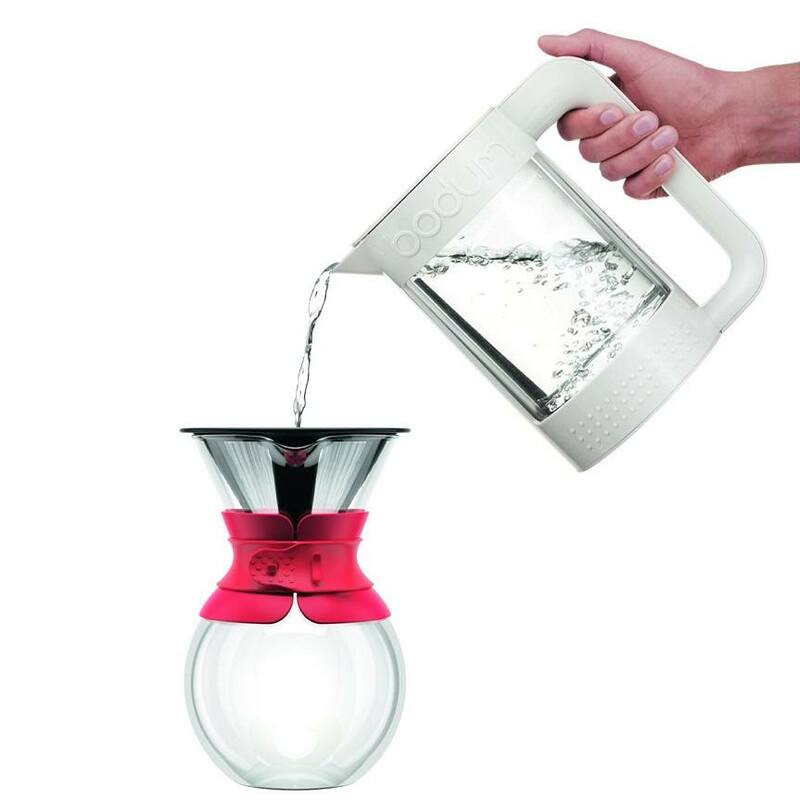 The Bodum Pour Over Coffee Maker is the perfect investment for people with busy schedules and are looking for a convenient method to enjoy their favorite beverage. All you have to do is boil a pot of water, pour it over the coffee grinds and allow the machine to work its magic, without the use of electricity. 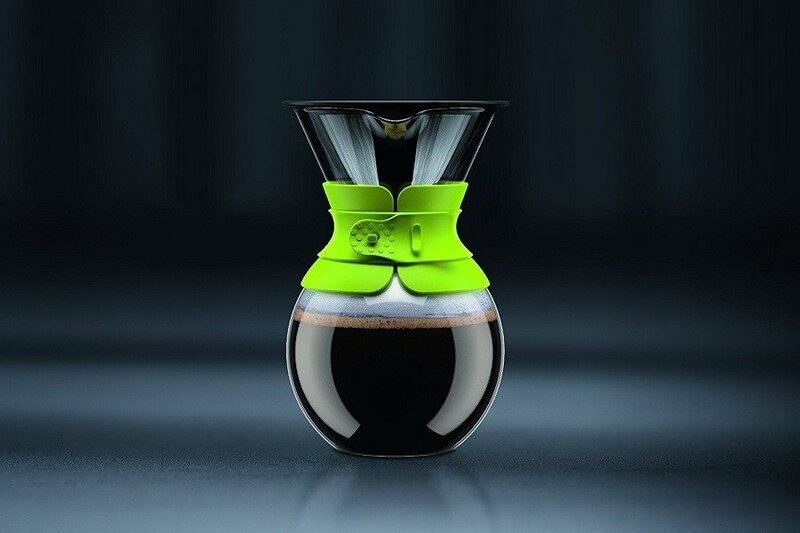 This excellent pour over coffee maker promises consumers a cup of rich tasting coffee while maintaining the natural oils and great aroma of the grounds. Makes Delicious Coffee: Unlike other coffee makers in the market, the Bodum 11571-01US Pour Over Coffee Maker extracts natural flavors and aroma of the coffee grinds, allowing consumers to make a delicious cup of slow slow-brew coffee. Reusable Permanent Stainless Steel Mesh Filter: With the Bodum 11571-01US Pour Over Coffee Maker, you do not have to worry about paper filters and capsules ruining the taste of your favorite beverage. The machine includes a permanent stainless steel mesh filter that is reusable. 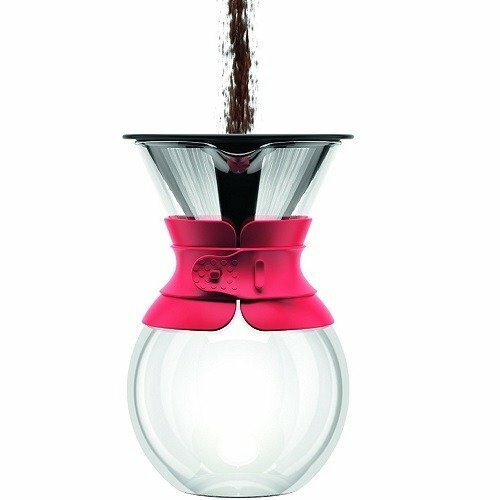 ​Mouth-Blown Borosilicate Glass: The Bodum 11571-01US Pour Over Coffee Maker includes a mouth-blown Borosilicate Glass that is perfect for making coffee and results in easier cleanup afterwards. Dishwasher Safe: Coffee enthusiasts will be pleased to know the Bodum 11571-01US Pour Over Coffee Maker is dishwasher safe, resulting in greater convenience for people who are too lazy to wash the machine by hand. Easy to Use: Perhaps the best thing about the Bodum 11571-01US Pour Over Coffee Maker is it is easy to use with no complicated buttons and settings to worry about. Easy Maintenance: The coffee maker is easy to maintain, thanks to the stainless steel mesh filters. Simply rinse it after usage and you are good to go. Great Taste: Most consumers on Amazon were happy with how the coffee turned out. No Handle for Heat Protection: The Bodum Pour Over Coffee Maker does not feature a handle for heat protection. This increases the risk of accidents if you accidentally touch the Borosilicate Glass if it is still hot. Difficulty in Pouring: Some consumers claimed they had difficulty pouring their coffee, as the sprout does not function as well as the previous versions. 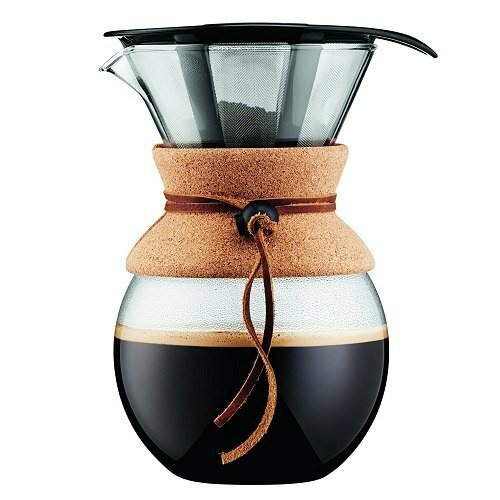 The Bodum 11571-01US Pour Over Coffee Maker can be purchased on Amazon for $15.75 with free shipping. The Bodum Pour Over Coffee Maker is a great product to invest in and you will be happy with how easy the product is to use. This makes the coffee machine an excellent choice for novices and beginners who are still getting the hang of making great coffee.